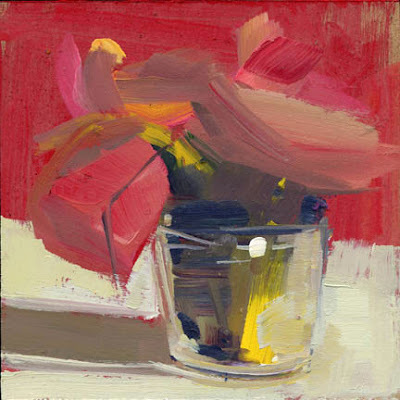 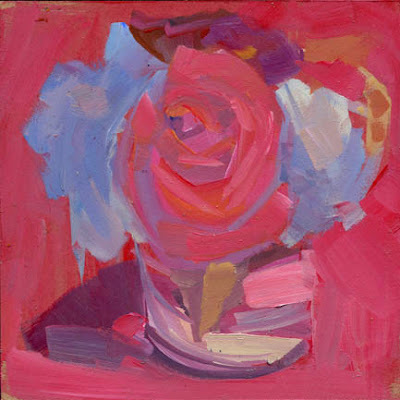 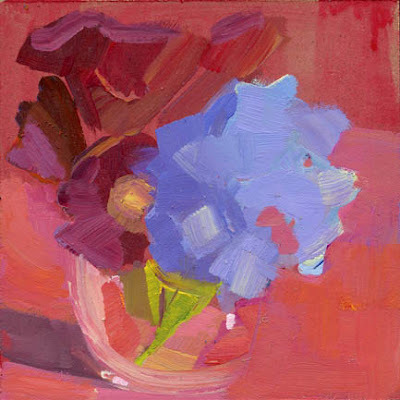 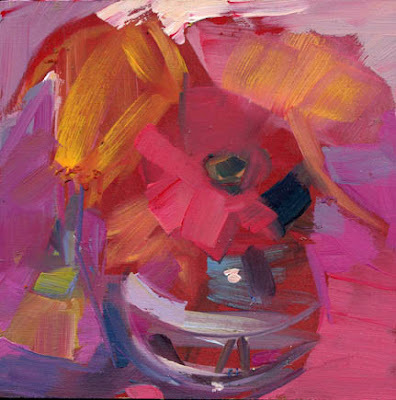 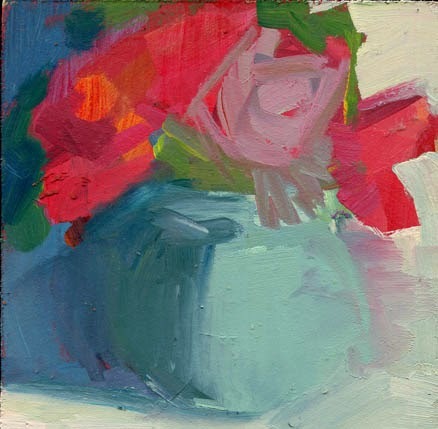 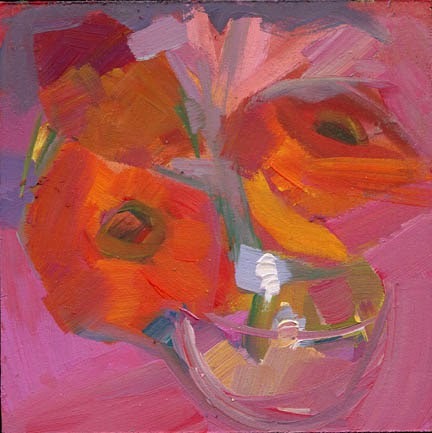 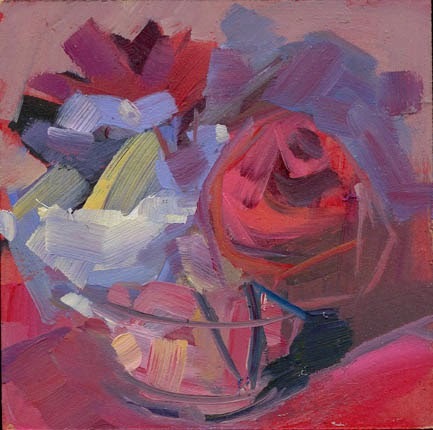 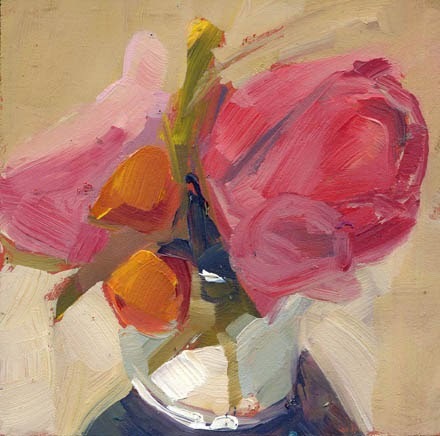 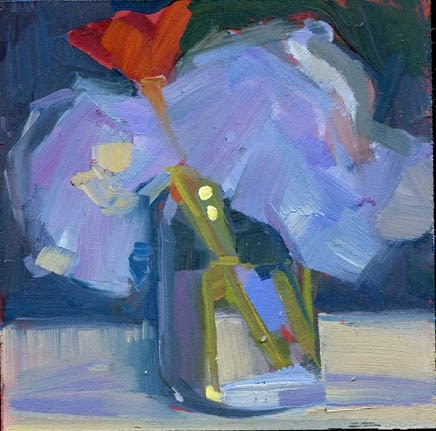 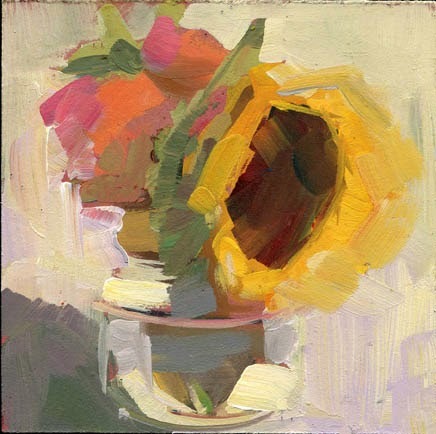 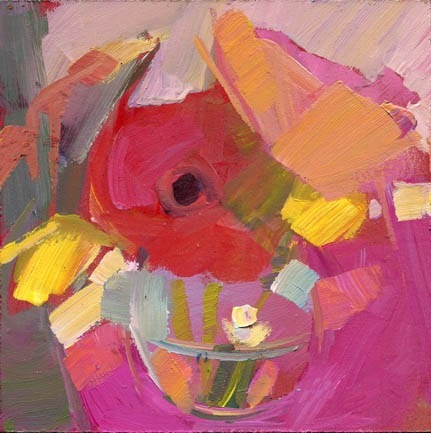 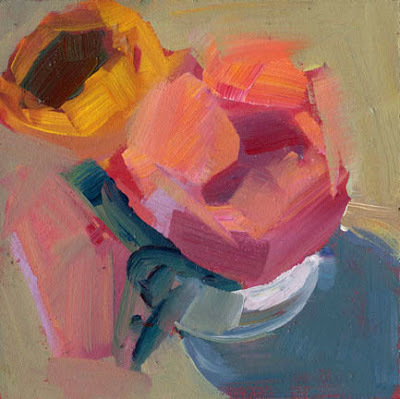 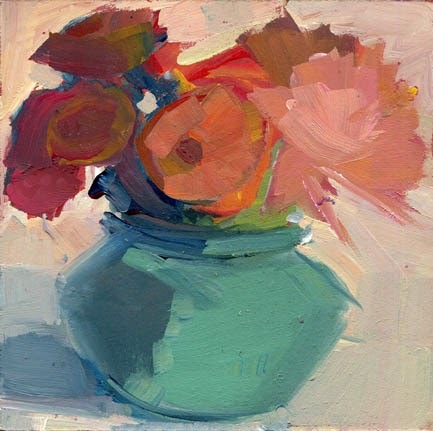 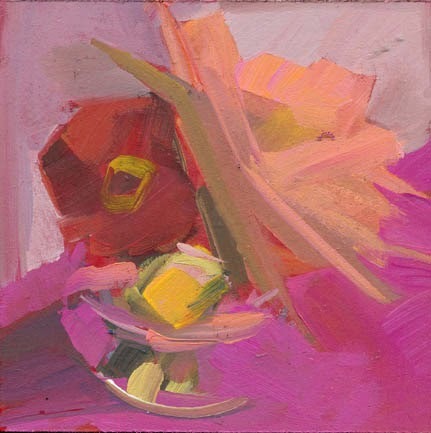 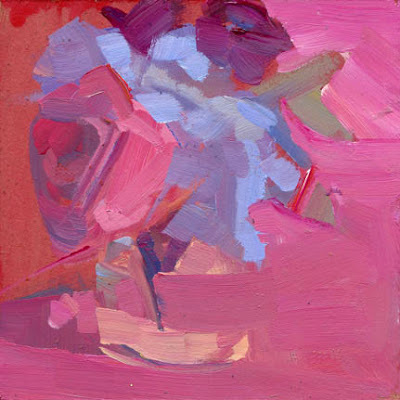 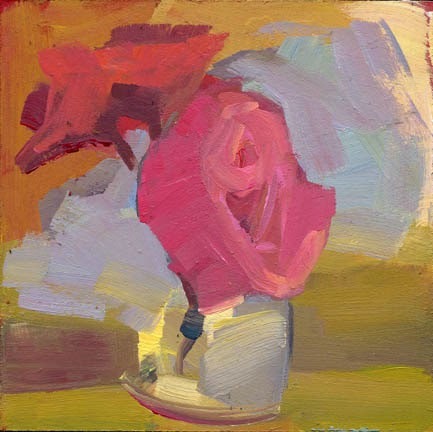 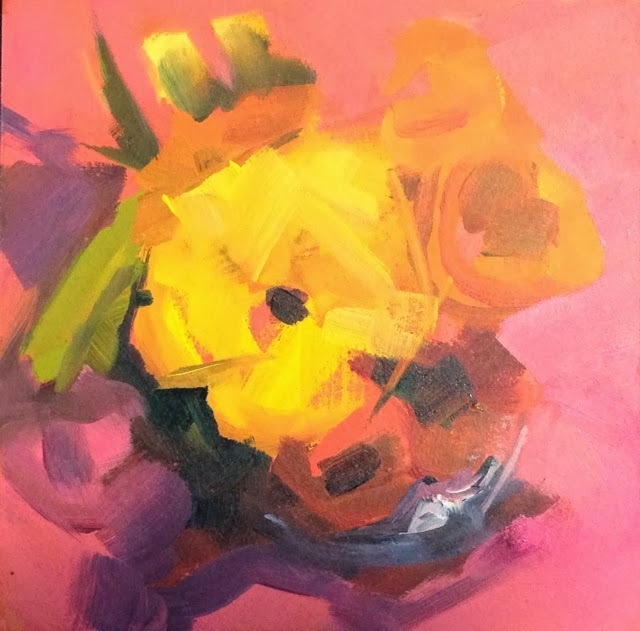 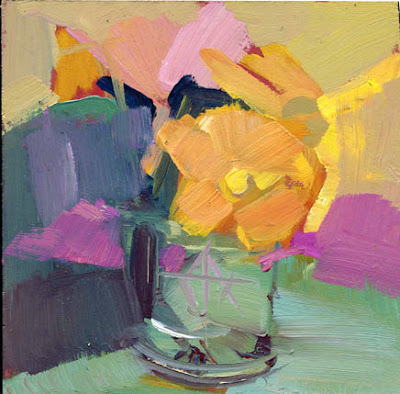 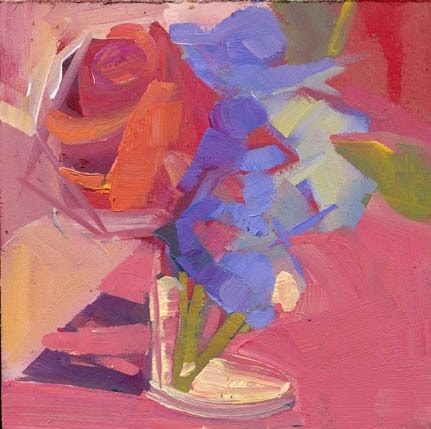 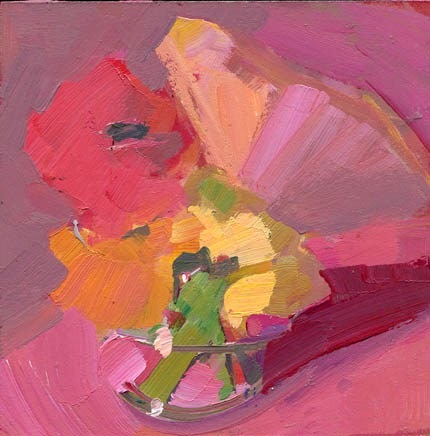 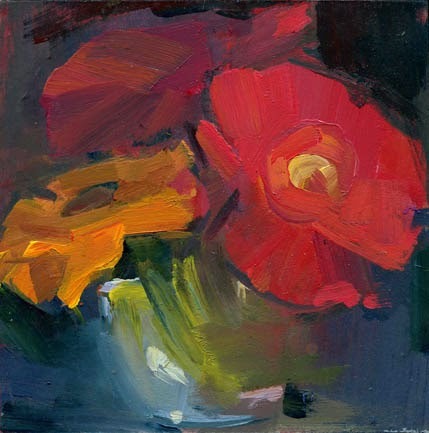 still life, acrylic, 6" x 6" $100 click here to purchase Other News: Tonight we celebrated the granting of The SAMFund's 1 millionth dollar granted to young adult survivors - Congratulations SAMFund! 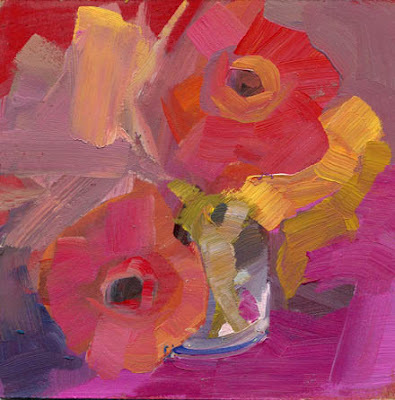 still life, acrylic, 6" x 6" $100 click here to purchase other news: to keep out of trouble, I've been working on a 30 x 70" still life on the other side of the room. 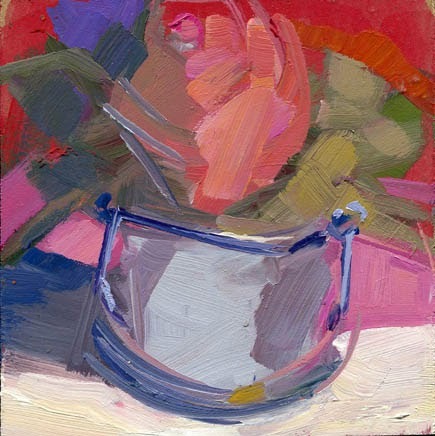 . .
sold I painted a mercury glass container with a thin handle this morning . 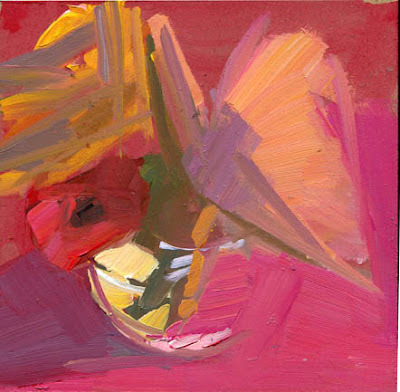 . . we (me and the container) are not friends yet. 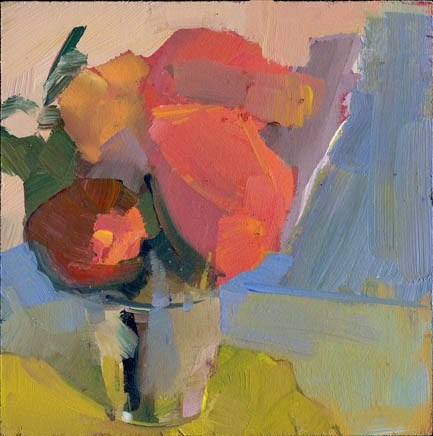 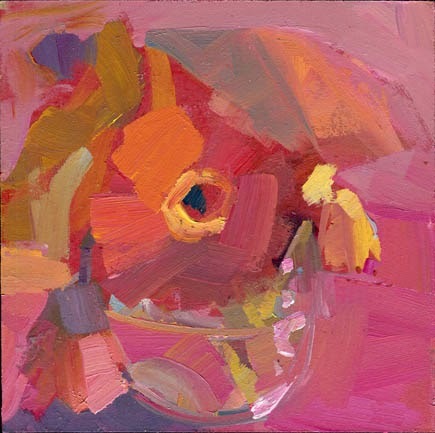 still life, acrylic, 6" x 6"
still life, acrylic, 6" x 6" Other News: Moderate is part of the Small Square Still Lifes exhibit at South Street Gallery, contact Kate for further details 781-749-0430.
sold still life, acrylic, 6" x 6"Other News: I'm back from four energizing days in Atlanta. 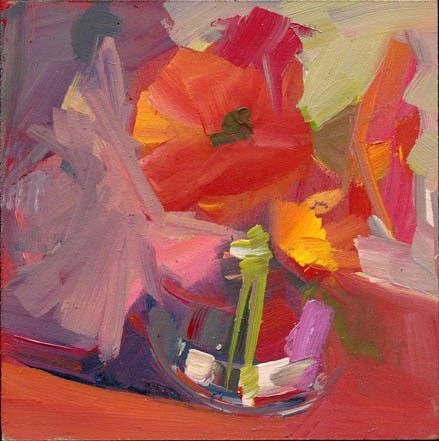 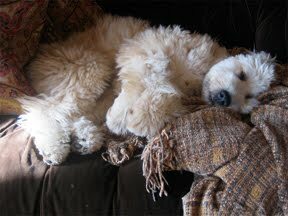 I loved the city and everyone I met through the Art School in Sandy Springs. 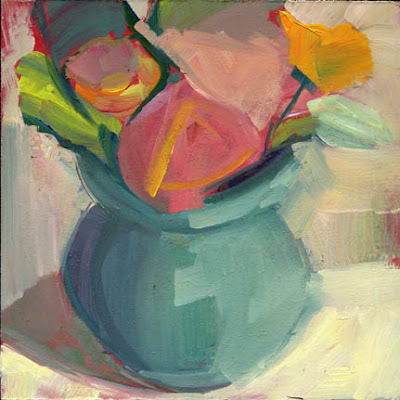 I already miss everyone in the class and my host Donna Thomas. 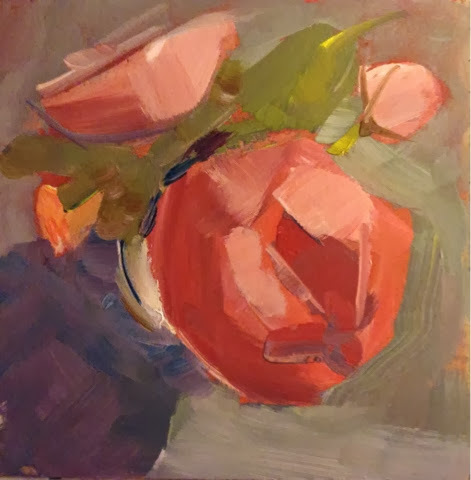 (click here to see what other classes the school offers, if you are in the area or are looking to take a workshop elsewhere, like a mini vacation - Donna brings in a diverse group of artists every year). sold I woke up early, painted and checked the weather. 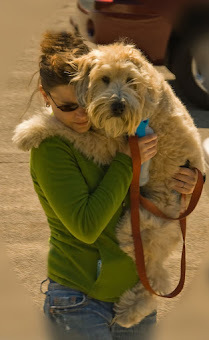 If the 38 mph winds are at our tail, I will arrive in Atlanta in no time! 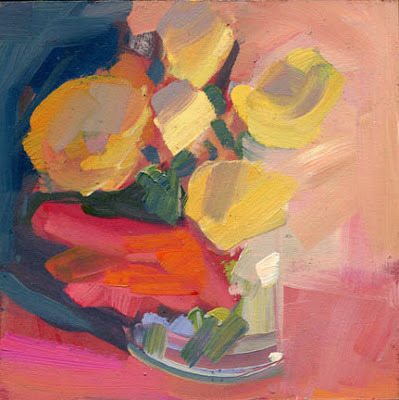 still life, acrylic, 6" x 6"